Stock market reports is important if you're thinking of making a major stock market investment. There are several kinds of stock market reports available and you'll find out that, having it at hand can help you make a wise investment. There are several sources for reliable stocks reports. The news is one of those, though the information you get from a traditional newscast will be very limited. Typically, you'll only get a more in-depth report if there are actions deemed newsworthy - large gains or losses during a particular timeframe, for example. Some programs offer more detailed reports but limit those to a particular type of stock. For example, a radio or television station that airs a daily farm report will likely give include information about stocks and commodities of interest to farmers. It may include only soybeans, grain or similar crops, but may also give updates for some publicly traded companies related to the farming industry, provided there is sufficient interest among the station's listeners. 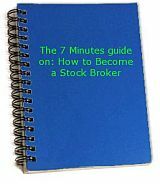 Your broker may be a source of information if you're looking for updated stock market reports but want the data limited to those stocks you currently hold or are watching. In this case, you'll likely be charged a fee for the service, but this type of stock market reports can be very detailed and accurate information on which to base future decisions. An annual report is available for most publicly traded companies that will outline some specific data about that company for the previous twelve month period. For example, an annual report will include the market risk for that particular stock. Market risk is simply a numeric evaluation of the likelihood that the stock value will fluctuate because of changes in the market. Commodity risk (the chance that commodity prices will change) and currency risk (the chance that foreign currency exchange rates will change) are two of the more common risk factors detailed on an annual stock report. The Securities Exchange Commission dictates much of the information on annual stock reports - including risk factors - to ensure that potential buyers have the data they need to make informed decisions. Remember that the term "stock market" doesn't describe an all-inclusive sector of those buying, selling and trading stocks. In actuality, there are several stock exchange markets and some stocks aren't traded on any exchange. With that in mind, beware of anyone who wants to provide a comprehensive stock market report. Be specific about what you're looking for - information from the Nasdaq, New York Stock Exchange, American Stock Exchange or some other entity. If you're interested in IT companies, reports related to those types of companies will be more helpful than reports of all stocks being traded as part of the Dow Jones.